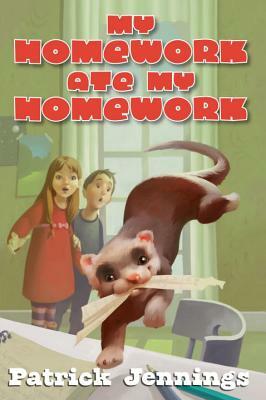 But when her mom finds out that there is a ferret on the loose, Zaritza better find her class pet fast. Patrick Jennings blasted onto the children's book scene with his critically acclaimed" Faith and the Electric Dogs," which received numerous starred reviews and is now in film development. Known for his wide range of topics and styles, Jennings is the author of the recent "We Can't All Be Rattlesnakes," "The Wolving Time," and "The Beastly Arms." He has turned his focus to writing funny, easily accessible stories that will appeal to middle-schoolers, including his recent Egmont releases "Guinea Dog," "Lucky Cap," and" Invasion of the Dognappers." A former resident of Bisbee, Arizona, Jennings now lives in Washington State. You can visit him at www.patrickjennings.com."